There are two things you need to know about this cake. 1. I made a different version yesterday that was so much prettier (see Instagram) but was not tasty enough to be blog-worthy. 2. There are butterscotch chips in this cake that will sink to the bottom (but this is a Bundt cake, so TOP) of the cake. More on this in a minute, but I wanted you to know that going in. 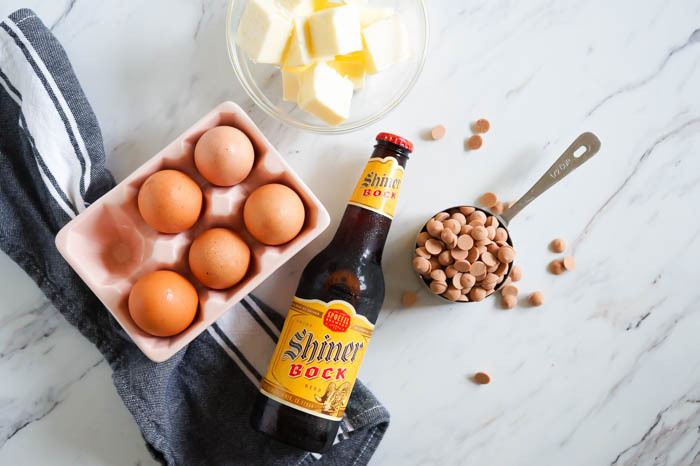 The most important things to know about this cake are that it's made with beer...and that it's delicious. 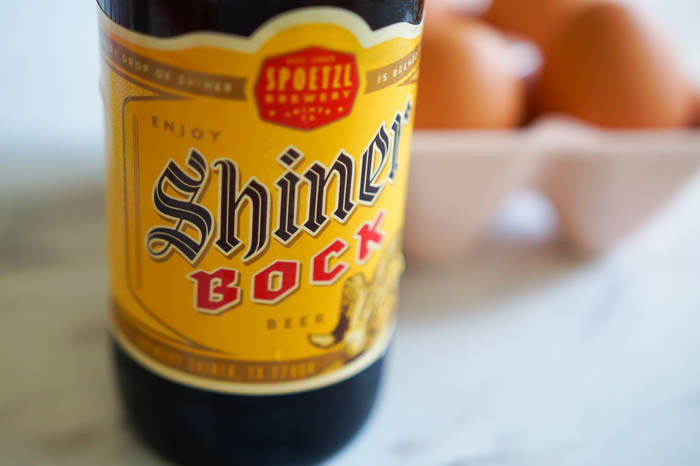 The beer really shines in this cake. You can taste it...it's not just enhancing other flavors. Beer also makes the cake less sweet, so the butterscotch chips (highly recommend Guittard chips) and glaze really balance everything out. 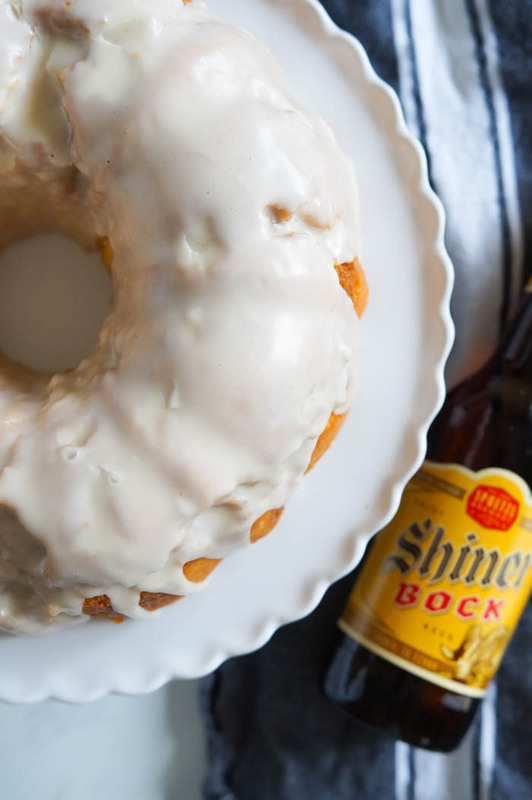 I used Shiner for the cake because it's one of our favorites and hello, made in Texas! Let's address the butterscotch chip issue. They're just too heavy for the batter, but I didn't want to chop them into smaller pieces, and I wanted to keep the batter nice and light. I even tried the toss with flour method to no avail. So, grease and flour that pan to within an inch of its life. When you remove the cake from the pan, invert it onto a cooling rack and let it sit for a few minutes before lifting the pan off. If the pan does not lift off (because the chips are causing it to stick), tap the top of the pan all over with a spoon. Some of the cake may stick to the pan. I say that's ok. You're going to cover it with glaze. The glaze. Also made with beer. This is a very beer-centric cake. Preheat oven to 325°F. Grease and flour a Bundt pan very well. Whisk together flour, cornstarch, baking powder, and salt. Set aside. 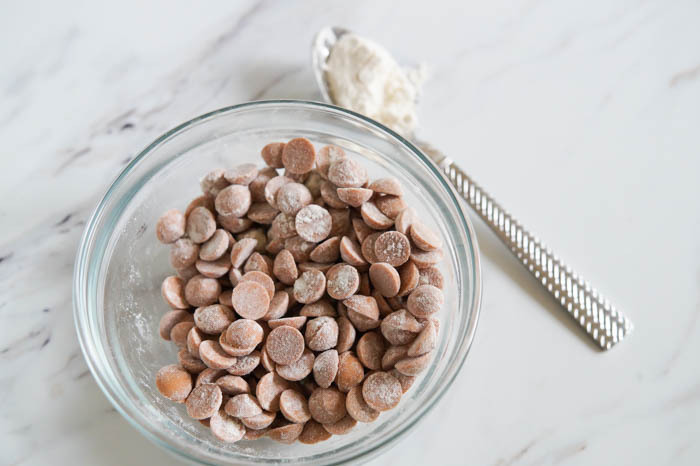 In a large bowl of an electric mixer, cream butter and sugar until light and fluffy. Beat in vanilla. Mix in eggs, one at a time, until incorporated. Beat in sour cream. Alternating, add in flour mixture and beer, starting and ending with flour. Add flour in three additions. Mix just until combined. Fold in the butterscotch chips. Pour into prepared pan and bake for 55-60 minutes or until a toothpick inserted in middle comes out clean, or with a few crumbs. 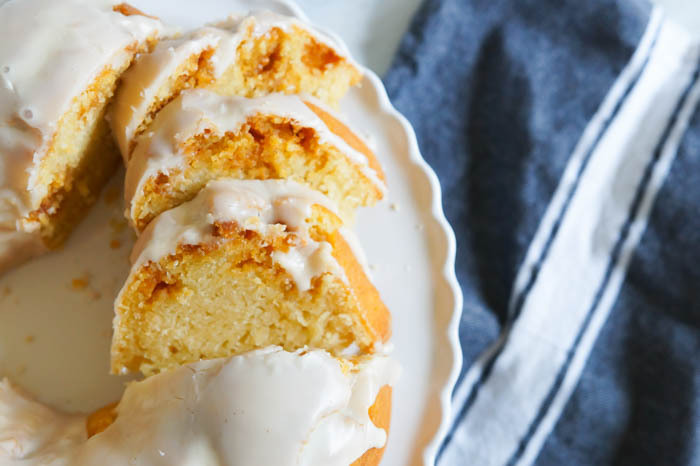 Make the glaze. 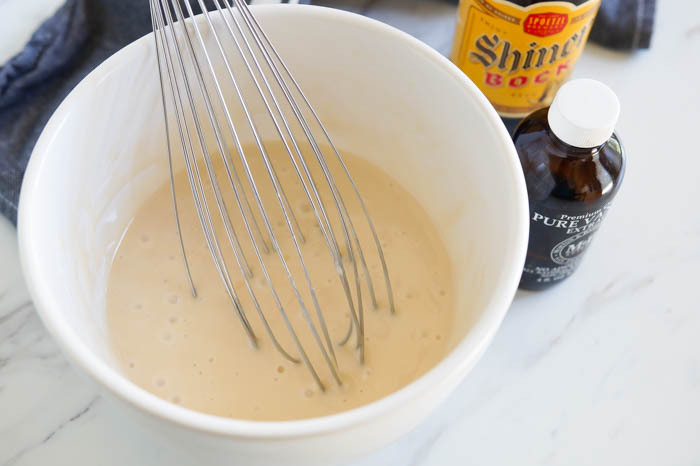 Whisk confectioner’s sugar, beer, vanilla, and salt together until smooth. 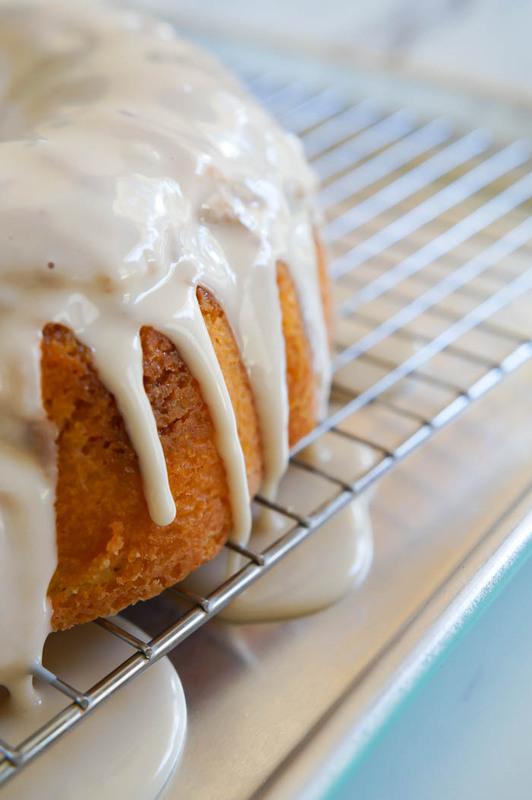 Place cake and wire rack on a rimmed cookie sheet to catch drips. Spoon glaze over cake. Let the glaze set for at least 15 minutes before serving. You might need this for Father's Day. Or your neighborhood cook-out. Or Wednesday. Major MAJOR noms!! This looks amazing!! If I wanted to bake this in a 9x13, what would you suggest the baking time be? The cake looks delicious and attractive, I also want to try it.